New members are always welcome to attend a meeting to see if she would like to join or to help in one of our fundraisers. Meetings are the second Monday of the month at 7:00 p.m. at the Queen Victoria Apt. meeting room. 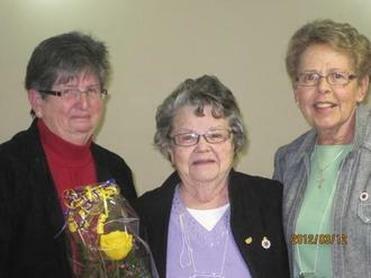 Chapter members, Carol and Linda received their 10 yr pin from membership officer, Barb, (on right). Welcoming another new member in 2018. 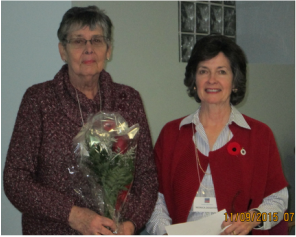 Citizenship Officer, Angela congratulates Barb for her time committed to volunteer work. 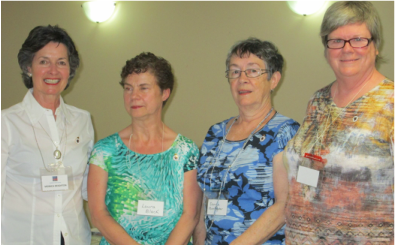 Congratulations Margaret Stokes Chapter for receiving 3rd in the IODE Canada 2015 Membership Drive. Congratulations to Marjorie Butler upon receiving a life membership from the Chapter. Donna Steane receiving her life membership in 2016. Congratulations Donna! A life membership is the highest honour that a member may receive in IODE. 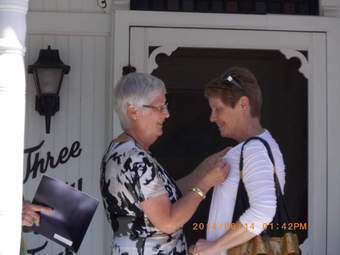 Suzanne receiving her ten-year pin. New members are welcomed in the chapter. 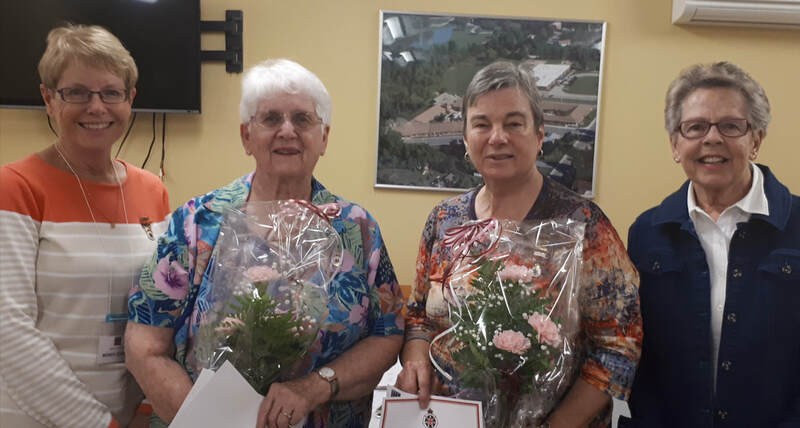 Congratulations to Helen Danby and Joan Williams who received their 25 yr pins in May. 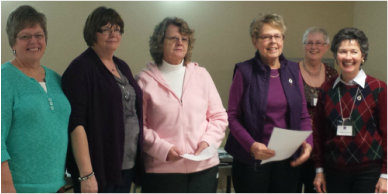 Congratulations to Joyce Kelly on 50 years of IODE membership and volunteerism. 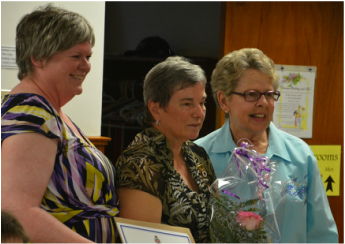 Dora receiving her 50 tear recognition flanked by membership officer Barb and Jean who was honoured by Rotary. It was a great honour to give Dora MacFarlane, one of our members, her 50 year pin. Dora joined IODE Margaret Stokes in 1962 and was the Chapter's President in 1970-71. Congratulations! The Petrolia Rotary Club honoured our own Jean Windover with a Paul Harris Fellowship award in recognition of her many years of community service and involvement. The Rotary Club Paul Harris Fellowship is a prestigious award established by Rotary International as a means of giving recognition and showing appreciation for the activity of individuals who exemplify the Rotary motto, "Serve above Self." Well deserved, Jean! IODE Margaret Stokes executive for 2017 and 2018. Congratulations to Donna Steane on the honour of receiving a life membership. Donna has been a services officer for over 10 years, on the adopted park committee, as well as a main pastry maker for our butter tarts and pies. 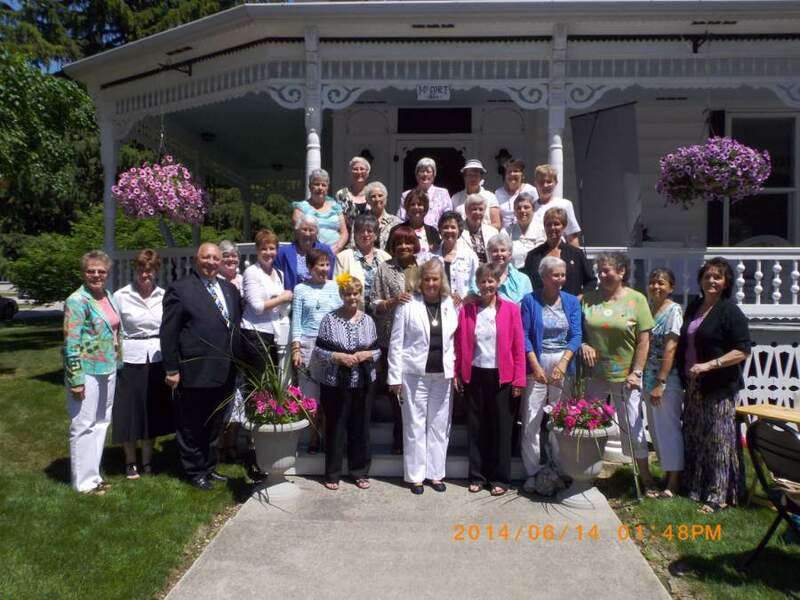 IODE Margaret Stokes members celebrating our 65th Anniversary. Congratulations to Helen Danby, our Education Officer, who received her Primary Life Membership. Helen joined IODE in 1993, and has held the offices of President 1998-2001; Adopted School convenor 1994-97; and Education officer since 2006. At the Municipal level, Helen is President, Education Officer and past Christmas Home Tour Co-chair. 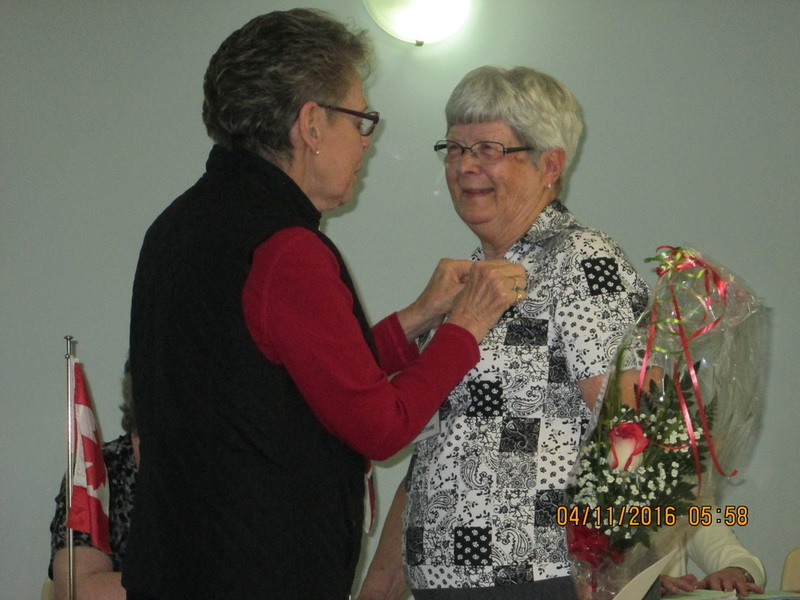 Congratulations to Wendy Loosley who received her Primary Life Membership Pin at our 65th Anniversary celebrations this past June. Wendy joined IODE in 1986 and has held the offices of Regent (President), Secretary 1990-96, and Standard Bearer for four years. Although working full-time while being a contributing member, Wendy found time to shop for supplies at tart-making and pie times. At the Municipal level, Wendy was secretary for two years and communications officer in the following years. Congratulations, Wendy! 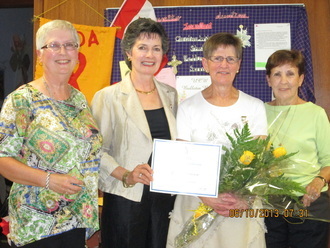 IODE Margaret Stokes Chapter member, Jane Stevenson was honoured with the presentation of a primary life-membership. Jane is currently the club treasurer and has held the offices of regent (president), vice-regent, secretary, education officer and assistant education officer. She has been a member of IODE over 25 years and can be counted upon to assist in all the organization's projects.. from setting up during pie and butter tart productions to ordering supplies and clean-up. Her honest opinion and humour are an asset to our club. Jane has also been President of the Sarnia-Lambton Municipal IODE as well as Education officer at this level. Congratulations, Jane.